The congregation of Emmanuel Presbyterian Church in Penasco, NM, comprises members of the Presbyterian Church in Chamisal, and those in Peñasco. The congregation alternates worship services in the two locations. A mission school was established in Peñasco in the 1880's, which existed until 1909. Missionary teacher, Sue M. Zuver, taught at the school for 21 years (1893-1909 – 16 yrs?). Dr. Horace Taylor, a Presbyterian medical missionary, started medical work (Rincones Medical Station) in Peñasco in 1916 (Iglesia Presbyteriana 266.5). In 1922, as he was traveling by car on a lonely mountain road when he was brutally attacked by an irate member of a patient's family. He never fully recovered and he was forced to retire. There was no Presbyterian Church building in Peñasco at the time. According to a long-time member of the Peñasco congregation, people worshiped in private homes. In about 1951, a large group of the town's residents asked the Board of National Missions to again maintain a presence in the area. In 1953 a new church building was begun in Peñasco, which was to serve Presbyterians in Peñasco, and those from the village of Chamisal. The name would be Emmanuel Presbyterian. 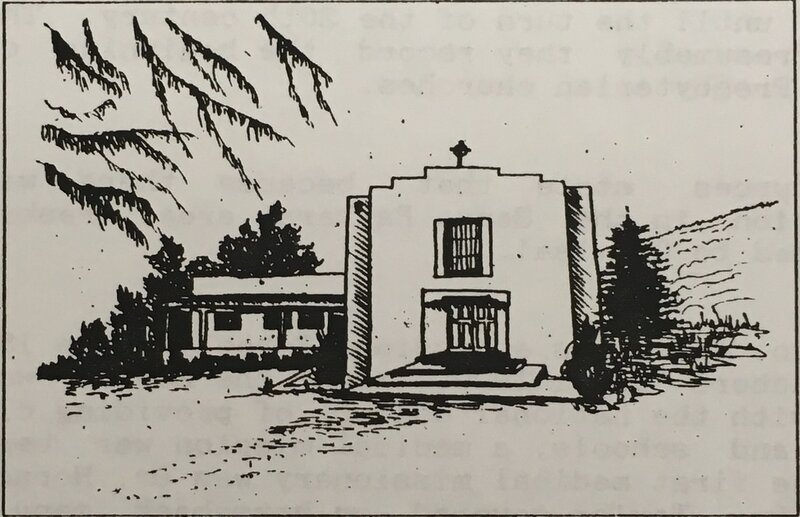 The first service of the Emmanuel Presbyterian Church in Peñasco, NM, was held on June 26, 1955, with the Rev. Julian Duran Sr. serviced as pastor. The church included a manse, a clinic, a fellowship hall, Sunday school rooms, and a kitchen. According to the program of service, the Rev. Porfirio Romero led the service, George P. Simmonds was choir Director, Mrs. Lydia Zellers was the pianist, and Rev. P. Warnshuis, D. D., delivered the sermon. There has been a Presbyterian presence in Chamisal since 1881, when Rev. James Madison Roberts organized a congregation referred to as The Presbyterian Church of Rincones (Blake, 266.589). In 1908, Mr. Abe Sandoval arrived in Chamisal to preach the Gospel. In 1909, Rev. Gabino Rendon led the effort to organize a congregation. Adobes were made, vigas were cut, and a church building was completed in 1910. The congregation included a congregation from nearby Santa Barbara. The building also served as a school house. The date of the first session in Chamisal was March 28, 1909, which is the date the church in Chamisal considers as its birthday. A new sanctuary was built in 1947 under the auspices of Rev. Amador Martinez; a manse was built in 1952. The church tower was dedicated to Gabino Rendon, Sr.